Discover the perfect gift idea for mom & baby. This lovely gift includes a soft, loveable Petit Bateau plush bunny for baby, the Happy Horse Hand & Foot Print Kit, and Cinq Mondes aromatic shower and bath oil to pamper the new mother. 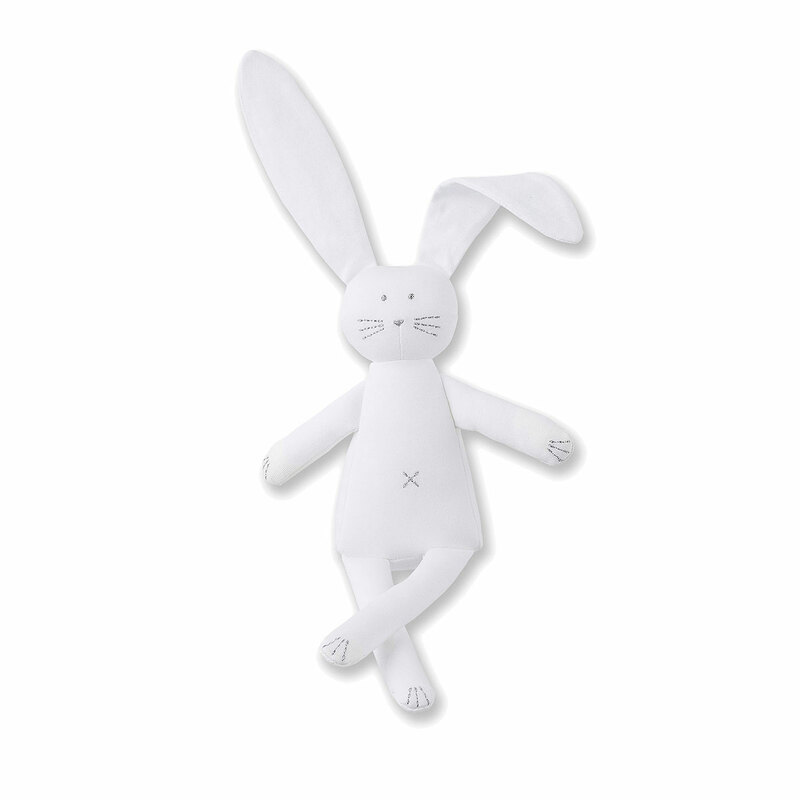 The Petit Bateau rabbit lovey is a super cute friend for baby. This unisex baby toy has a charming embroidered face and is easy for the baby to grasp and cuddle. An adorable newborn gift idea! The new parents will love the hand and foot print kit for capturing precious memories. Mom will love the Cinq Mondes Phyto-Aromatic Shower and Bath Oil with rose absolute and ginger essential oils for a much-needed moment of relaxation.